As my wife observes, I like anything ugly or creepy. 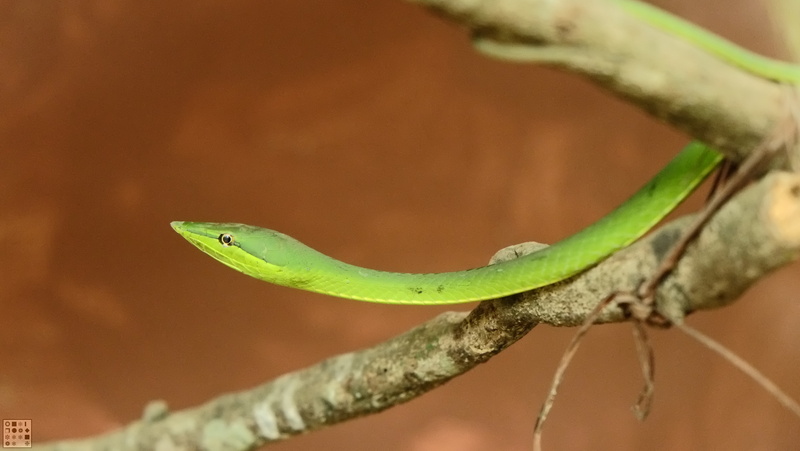 This spousal taxonomy includes numerous reptiles such as lizards and snakes. 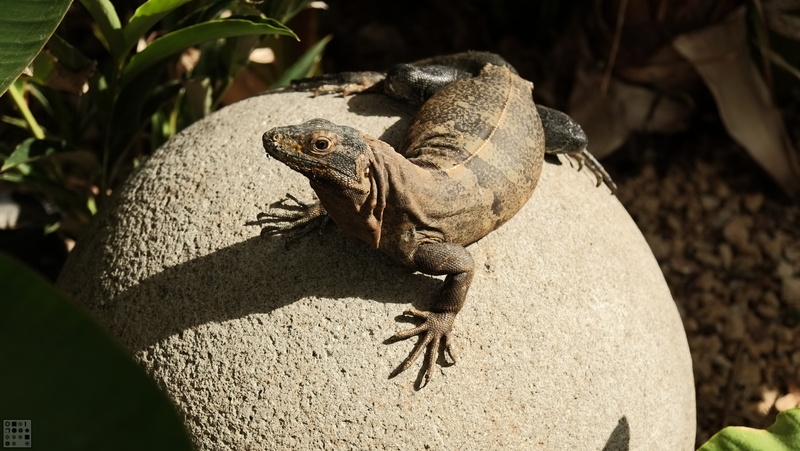 Truth is that I’m pretty much a friend of all living things, and reptiles are no exception. 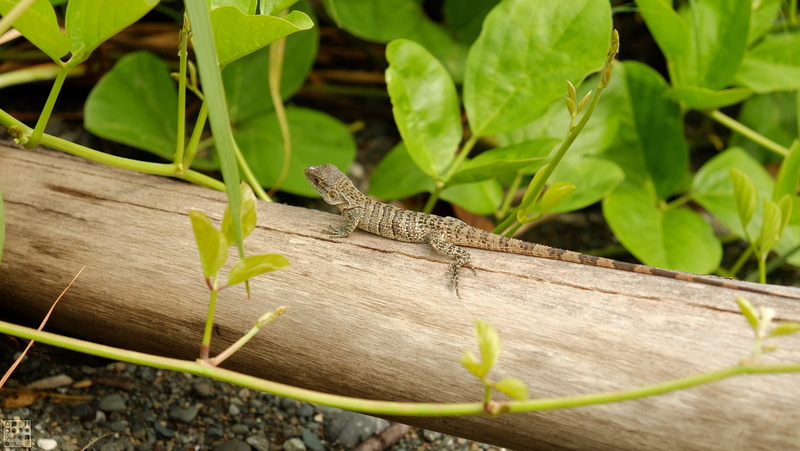 At any rate, here is a sampling of some great reptiles I saw in Costa Rica. 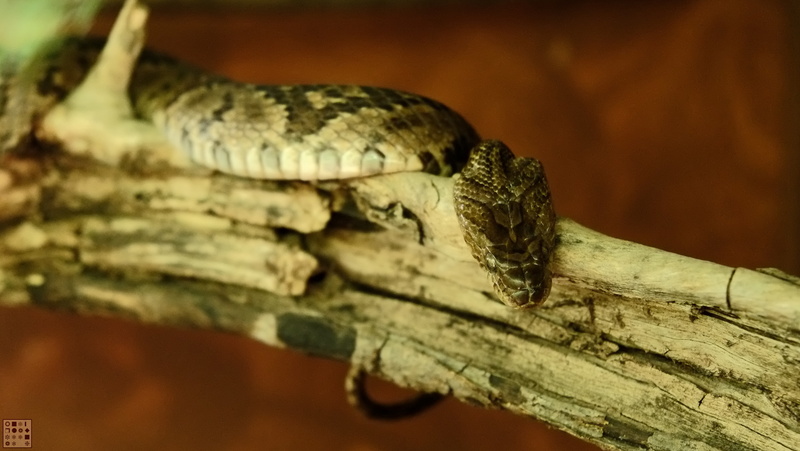 The lizards were all out in the wild, while the snakes were in displays. This fella was down in the Osa Peninsula. I have a knack for getting close to animals, as I’m patient and move slowly. What I didn’t realize is that fellow travelers, upon noticing my camera pointing this way or that, would run up to see what I was taking a picture of. Needless to say, that would be the end of the photo opportunity! 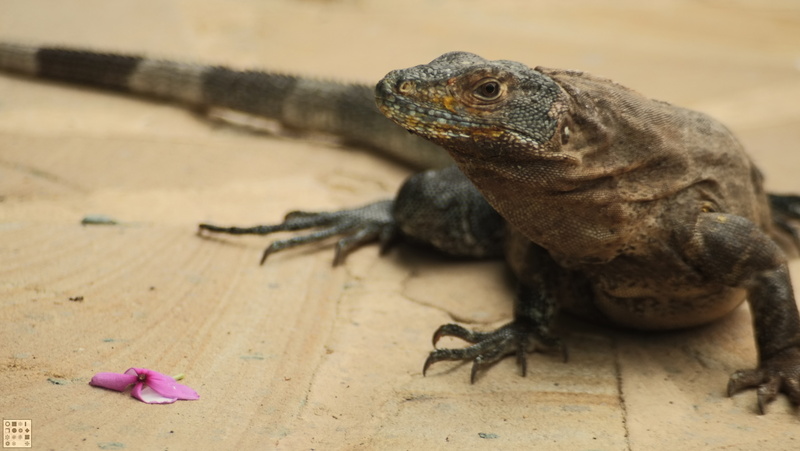 This iguana is one of two residents of Hotel Conchal in Brasilito. I asked the proprietor, Simon, if they had names. It turned out that they weren’t domesticated and had made themselves permanent residents of their own accord. This was the smaller of the two and the only one that would let me take pictures. The other one was bigger and would bully this one. However, that one turned out to be a coward as it would scurry away whenever I tried to take a picture. Here it is again posing for me on a concrete globe. 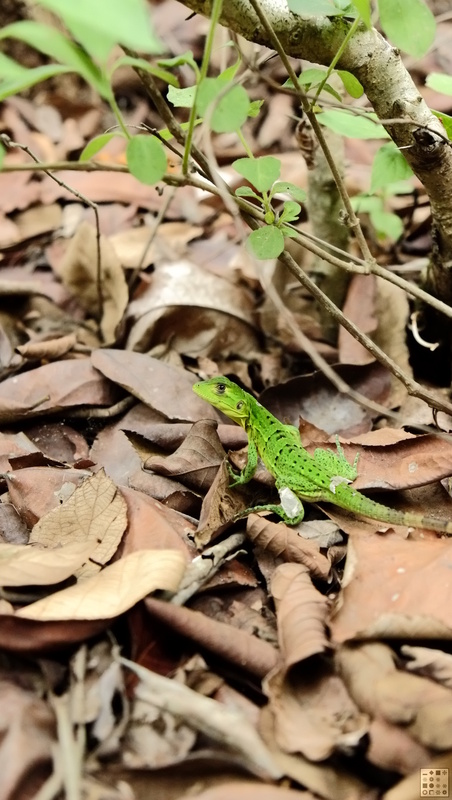 These bright green lizards were also common. This one I spotted on the grounds of Guachipelin. Most of these were similarly unphased by me, whereas the larger brown ones would always scurry away. 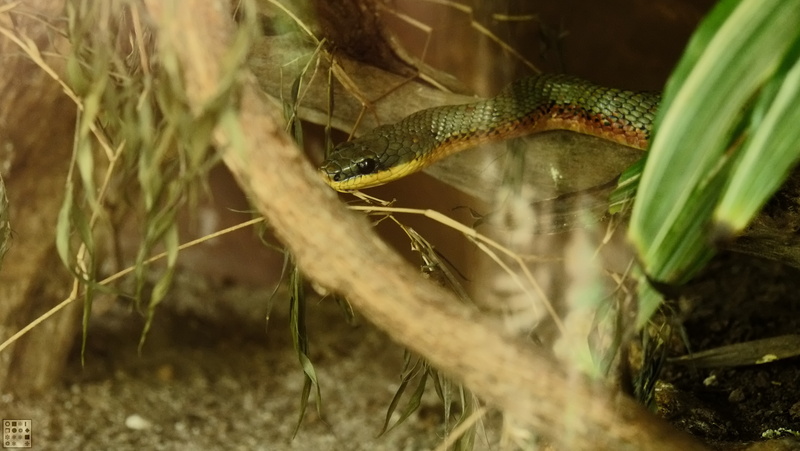 The snake pictures are all from Hotel Guachipelin’s snake exhibit. This was a self-guided tour along the way to I suppose a more popular butterfly conservatory. Whenever I look at these, my neck gets stiff! I did actually see one snake on a trail, but unlike the caged ones, it didn’t stick around to get photographed. It was probably better this way, as I had plenty of time to fiddle with my camera settings. 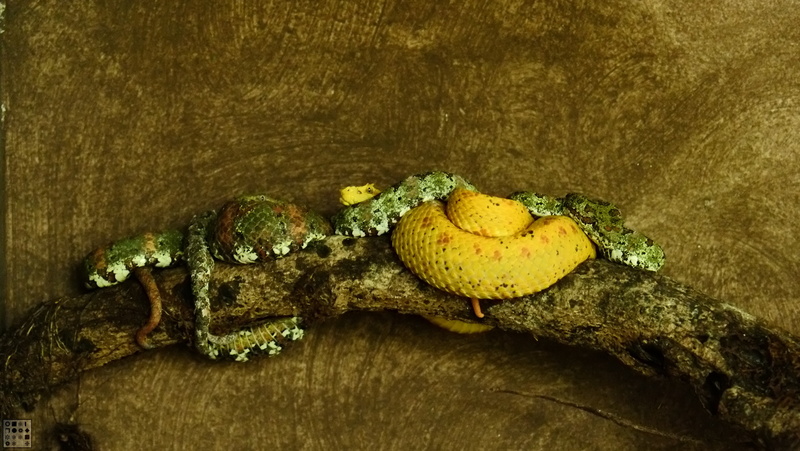 I like this picture, as it shows that snakes like hanging out with each other. I suppose they are simply sharing heat, but nonetheless I find it touching. The last picture reminds me of someone I heard on the radio on Sunday, who was talking about their snake-keeping friend who fed his snake live baby rats. 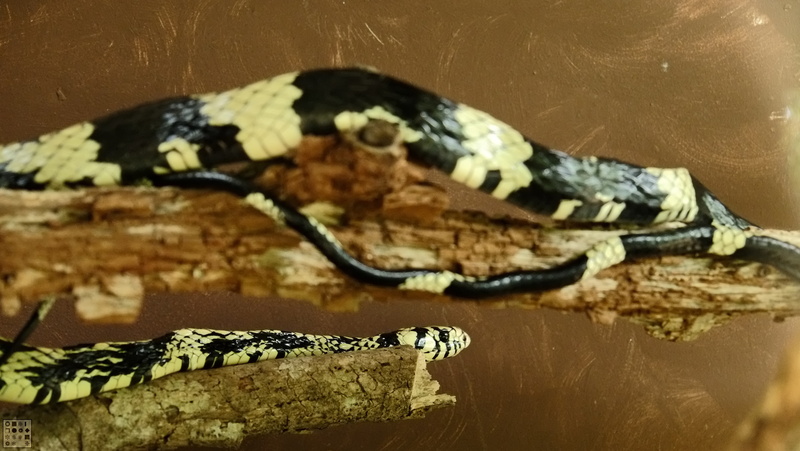 Apparently one time the snake was scared of the rat and curled up in a corner of the enclosure – and the rat lay down on the snake and fell asleep! So the snake keeper gave the snake away and kept the rat.